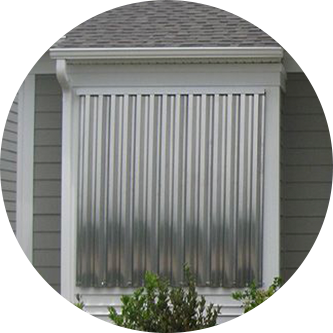 Sturdy Rolladen Storm Panels deliver maximum no-nonsense protection at the lowest possible cost. They are an effective means of helping to protect doors and windows from wind and storms for both residential and commercial properties. 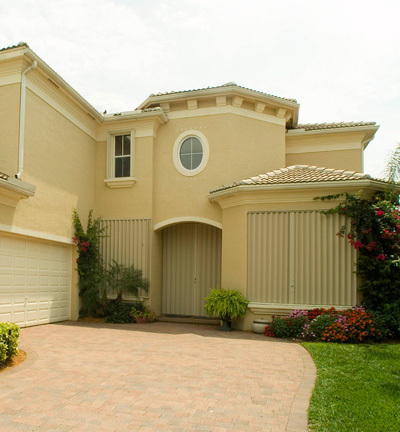 Our Storm Panels are also an effective way of helping to secure your home and deter vandals while you are away. Built to take it, the headers and sills are constructed from heavy-duty extruded aluminum. Built to last, the top and bottom tracks are electrostatically painted with Rolladen's Step-3 Process and are available in a variety of colors. Both headers and sills may be permanently attached to the structure or made removable with the panels for easy storage. Removal of all panels is simple, plus they stack away compactly. Optionally available is the unique patent pending Rolladen Storm-Exit feature. Rolladen Storm Panels are available in roll-formed aluminum, extruded aluminum and precision roll-formed galvanized steel. They all feature Rolladen's unique storm panel flange system. They're so strong and tough, that no mid-span bolting is required on the steel or extruded aluminum storm panels. 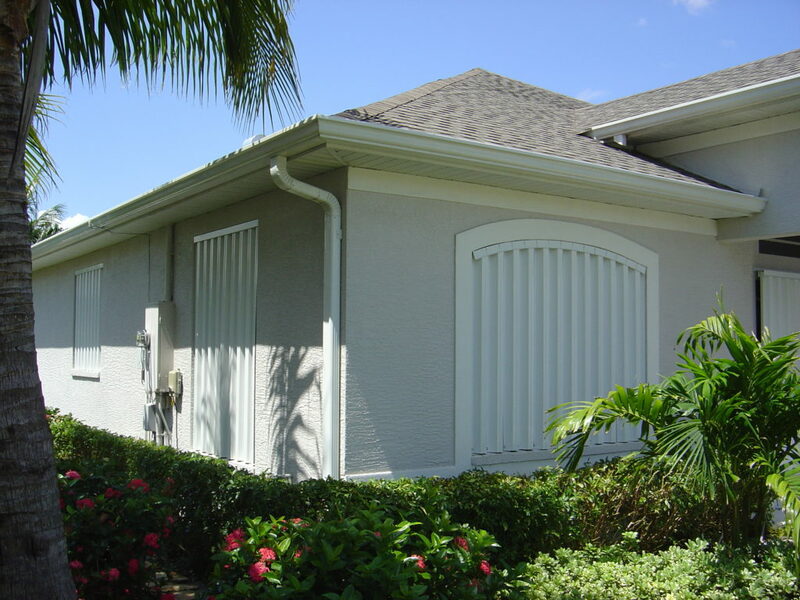 Rolladen Aluminum Storm Panels offer the advantage of light weight and are easy to handle. Steel panels are the most cost-efficient and provide the strength of steel. Whatever model Rolladen Storm Panel you choose, Rolladen quality and protection are on your side.